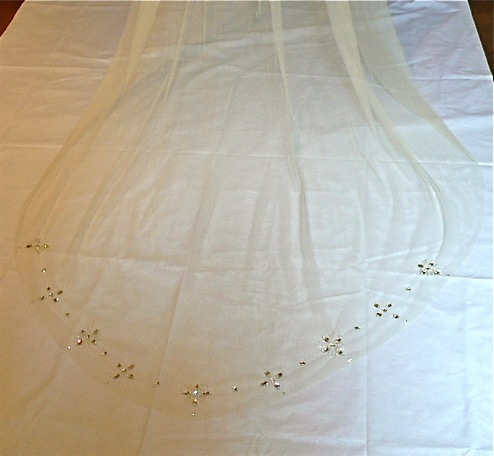 The tailpiece design is a veil that has a cut edge and has detail on the lower curve of the wedding veil. This detail can be a matching motif or a hand beaded section. This is a simple and cost effect way of adding detail to your wedding veil.